RMT members vote for action on Merseyrail in fight to retain safety-critical guards - union confirms strike dates. 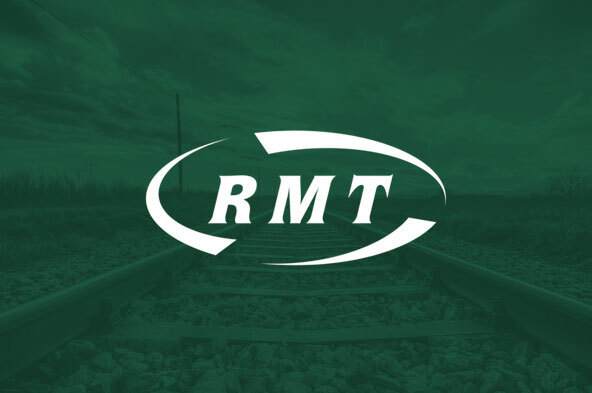 RAIL UNION RMT confirmed today that members have voted overwhelmingly for both strike action and action short of a strike in a ballot for industrial action after Merseyrail’s continued failure to provide cast iron assurances around the future of the safety critical role of the guard. Action has by RMT’s Merseyrail guards and drivers has been confirmed as follows: Members not to book on for any shifts between 0001hrs and 23.59 hrs on Monday 13th March. In addition members will not work any rest days from 00.01 hrs on Tuesday 7th March indefinitely. 81.8% of members voted for strike action with 93.5% backing action short of a strike. In addition, the union is kick starting a renewed campaign, involving the general public and targeting politicians across the area served by Merseyrail, aimed at maximising political and public support for RMT’s fight for a guaranteed guard on the company’s services. “This ballot result sends out the clearest possible message to Merseyrail, Merseytravel and politicians across the area that RMT is prepared to stand up and fight for public safety and the guard guarantee. The company now has the best part of two weeks to sit down with us, address the core issues at the heart of this dispute and negotiate a settlement before the action commences. “The union’s position on Driver Only Operation is perfectly clear. We will not agree to any introduction of DOO and will fight to retain the safety critical role of the guard and to keep a guard on the train. It is the failure of Merseyrail to give guarantees on those basic principles that has led to the current dispute and the campaign of industrial action. “RMT asked Merseyrail to give the union assurances that any new trains will have a second safety critical crew member on board and that the guard will be retained on all services. We set out clear deadlines giving the company ample time to give those assurances but the company have flatly refused to consider a guarantee of a second safety critical person on the new trains”. “This dispute, and the industrial action announced today, were entirely preventable if the company had listened and to the unions deep-seated safety concerns, had taken them seriously and had put passenger safety before profit. The blame for the industrial action, and the disruption it will cause, lies solely at the door of Merseyrail and those who are happy to put private profits before public safety.